When Android creator Andy Rubin announced that he would be creating his own company and launching Android devices, it raised a couple of eyebrows. Why would Andy leave Google and start his own venture? The biggest question was that what Andy was making that most smartphone manufacturers haven’t already tried. The answer was delivered emphatically by the man himself as he unveiled his company Essential and his first two products, the Essential Phone and Essential Home. The Essential Phone managed to immediately to attract attention with its edge to edge display that leaves just a tiny bit at top for the front camera. As you can see from below the Essential Phone manages to humiliate Samsung who were boasting about their Infinity Display on the Samsung Galaxy S8. Although we have to point a small detail that bothers us, as you can see the Essential Phone leaves just a few centimetres of free space on the bottom even though it has on-screen navigation buttons. Tiny niggles aside; let us focus on the uniqueness of the Essential Phone. The Essential Phone is made out of titanium and ceramic. This makes aluminium bodies of iPhones seem pale in comparison. 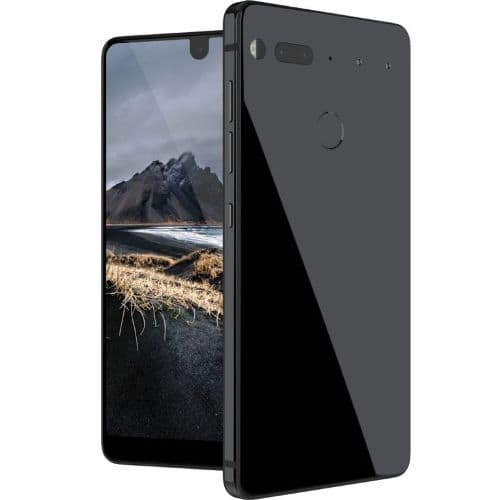 Essential claims that the Essential Phone is not prone to scratches, dents and the infamous bending. Essential even goes to say that believe their creation needs not protection and that is why their website does not have a section for phone cases. 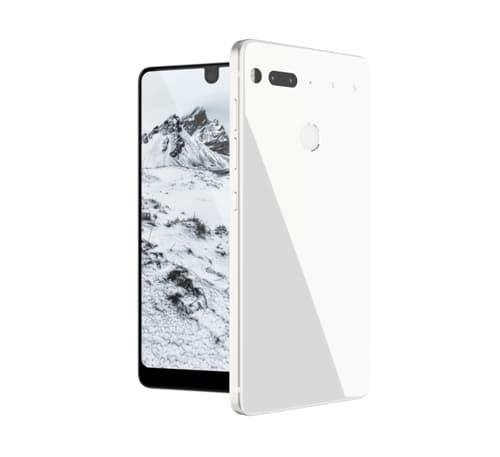 The Essential Phone is devoid of any company logos partly because the fact that the brand will speak for itself with the design. Before we drool on the four colour variants Black Moon, Stellar Grey, Pure White and Ocean Depths we would like to divert our attention to the tiny magnetic connectors laying aside the world’s thinnest dual camera setup on the rear. These connectors will be used to attach Essential accessories such as the newly launched 360 Camera. The magnetic connector enables wireless data transfer between your phone and it shall also be used to hook up with the Essential Phone Dock that can recharge the battery. Just a little heads up the Essential Phone Dock will be launched later. Geeks will now have to pay attention as we discuss the tech specs of the Essential Phone. 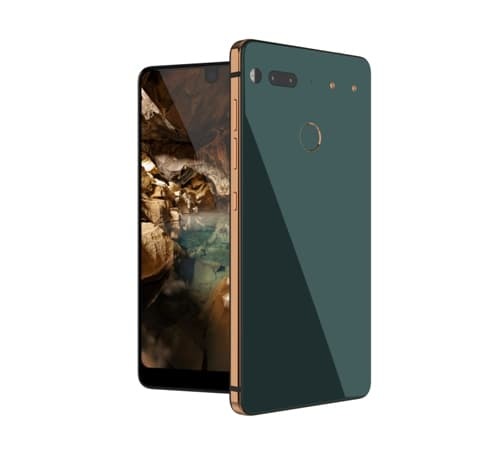 The Essential Phone, model number PH-1 has a 5.71inch display with QHD resolution (2560 x 1312 pixels) and Corning Gorilla Glass 5 protection. Underneath the hood we have a Qualcomm Snapdragon 835 chipset which houses a Kryo 280 octa-core (2.45 GHz quad + 1.9GHz quad) CPU setup, Adreno 540 GPU and 4GB of RAM to run unadulterated Android Nougat. The internal memory of the Essential Phone stands at 128GB which means you won’t need a microSD to expand memory. Remember the camera we talked about earlier, it’s a dual-sensor setup found of many flagship smartphones although in this case it’s the most compact. 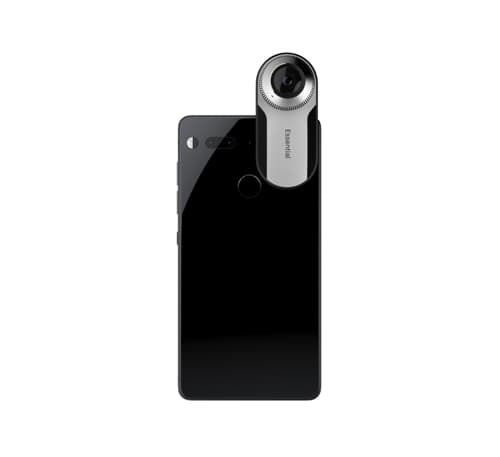 The Essential Phone has a 13MP Dual RGB + monochrome camera whose images are fused to create the final impression that you see on the phone. On the front you have an 8MP camera that is capable to record 4K videos. Since it’s a next-gen smartphone it embraces USB Type C connectivity but no worries as the company throwing in a headphone adapter for your existing headphones. The Essential Phone is powered by a 3040mAh battery that supports fast charging. The Essential Phone features ambient light, barometer, accelerometer, magnetometer, gyroscope and fingerprint sensor. Since it will launched in the US at first it will be made available as carrier unlocked. 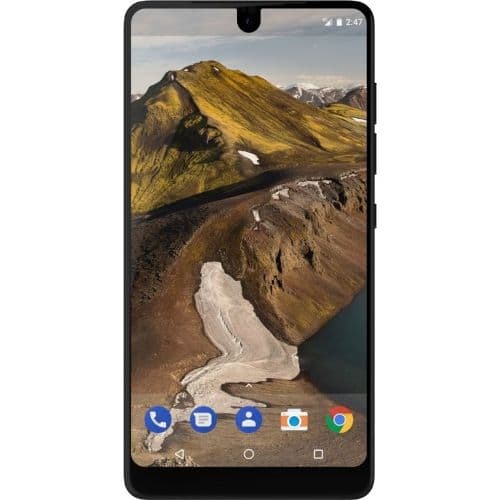 The Essential Phone is up for pre-order in the US and you can get one for $699. If you want you can throw in $50 to get the world’s smallest 360 Camera which is a Essential accessory that normally costs $199. IMHO, the front of the phone has been done really well; but I'll wait till I form an opinion about the phone itself. The hardware seems to be at par with the best available in the markets; but hardware alone ain't going to be the key to win hearts and markets. Does anyone have a clue how possible launch date in non-US markets?